Woohoo! There's a new challenge blog in town and we're debuting today! Come on over and join us at The Perfect Sentiment. 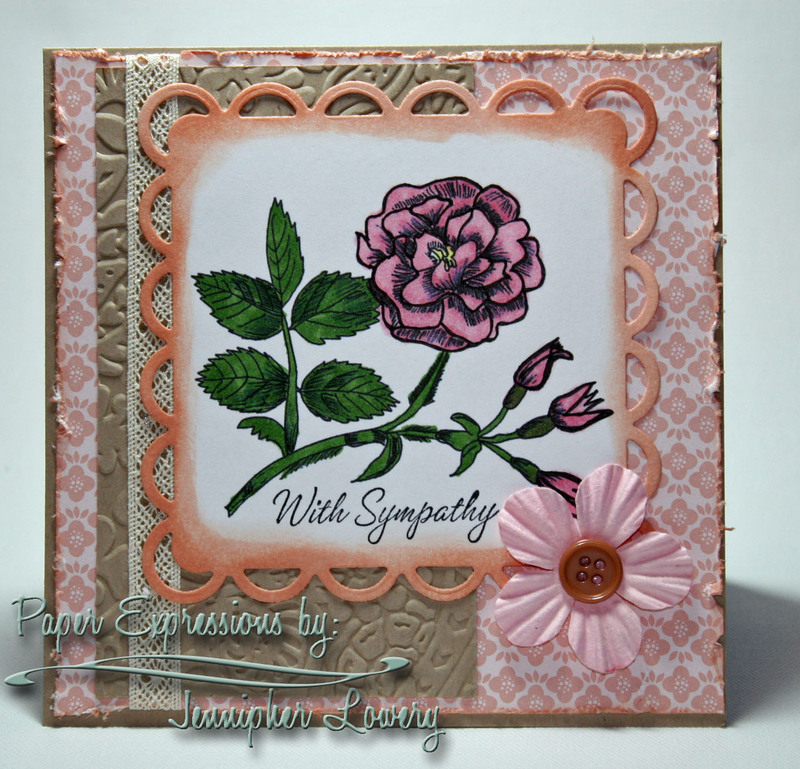 Our challenge this week is to create a card that reflects a sentiment of sympathy with a twist to use lace on your card. We have a fabulous sponsor for our launch challenge. Stef from Glitterbabe is giving away a $10.00 Coupon to one lucky random winner. She also provided our team with some fabulous images. I used one on my card below. You can visit Stef at her personal blog: glitterbabe greetings. I used the Ornate Flower from Glitterbabe. Love this image! It is appropriate for so many kinds of occasions and I really like to use flowers for sympathy cards. All of the paper products are from Stampin' Up!®. 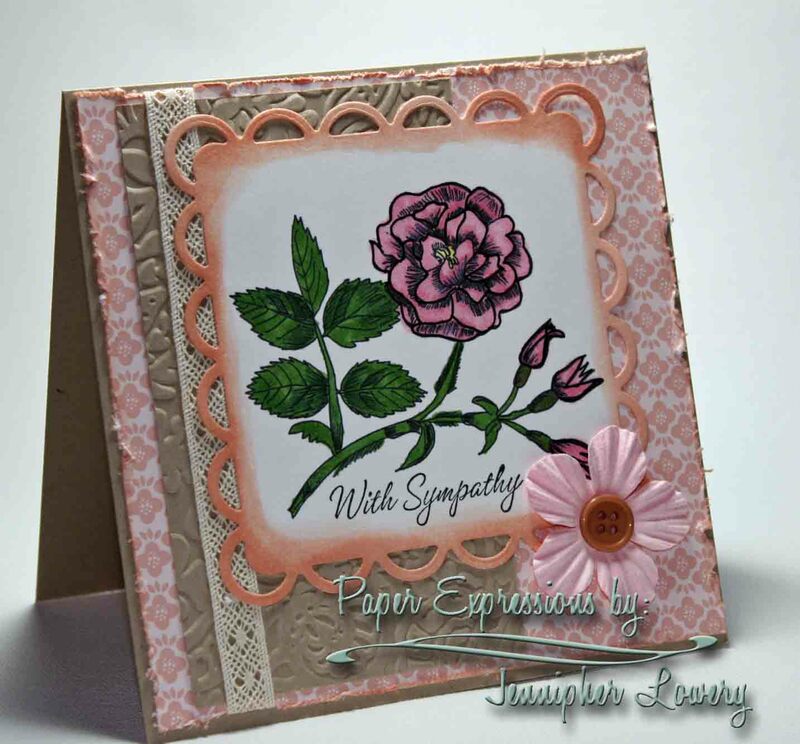 I cut the image out with the Lacy Square from Spellbinders and then sponged on Tattered Rose Distress Ink. The layer of Crumb Cake cardstock was embossed with the Tropical Paisley embossing folder from Sizzix. The flower is a Prima from my stash. 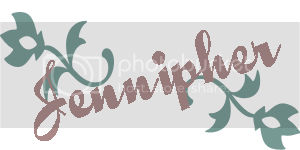 The strip of lace is from Stampin' Up! as well. this is absolutely gorgeous!!! wow!!!! i am grabbing it to showcase on my SHOWCASE SATURDAYS. please keep checking and if you have the winning card with a GB image, you stand to win a free image from me! This is stunning! I love that spellbinder die and how you inked it! That digi image is gorgeous as well! Thank you so much for allowing me to be a part of this amazing journey with you. Gorgeous card, Jennipher! Very tasteful and absolutely lovely. Congrats on your first challenge! Sweet card Jenn! You ROCKED the challenge! Beautiful card Jennipher. Congratulations on your new endeavor. Beautiful card! The flower is gorgeous! Congrats!! How beautiful! Your color selection is exquisite Jennipher!! You are definitely one talented crafter!! Hi Jennipher....beautiful card! I love all the layers and textures. Very pretty! Your card is fabulous! I love all the layers and the colors are stunning! Great job on the coloring. Congrats on the new Challenge Blog. Can't wait to play. What a gorgeous card Jennipher! I LOVE it & the colors you used...great design too! FAB work as always & TFS!!!! You've created such a lovely sympathy card! 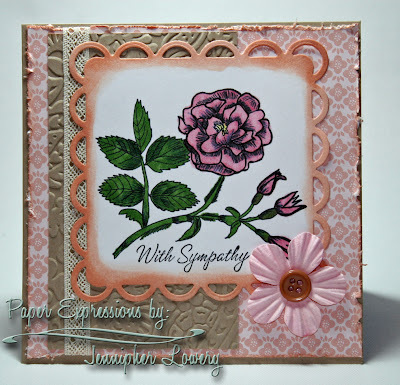 I love the embossing and distressing, and the way you colored the flowers looks so so pretty! NJ! This is gorgeous! Just a beautiful sympathy card and such a lovely image. Jenn, this is one stunning card! The flower and the coloring of it is beautiful! I agree with everyone about the gorgeous layers, the design, the sponging of the diecut - it is all gorgeous. What talent - a fantastic scrapbooker AND a fantastic card maker!! You go, girlfriend! What a lovely card, Jennipher! I love all of your layers and texture! Gorgeous card! Love the soft feminine colors and the texture! Hi Jennipher! I don't know how in the world I missed seeing this gorgeous card! WOW! Everything about it is just beautiful. Love it. This is so pretty! You colored the flowers beautifully. What an elegant card!! I love how you colored the image as well. Just beautiful! !